This contemporary home is a rare find in design (vertically placed transom windows bringing lots of natural light in), floor plan and yard size. The natural lay-out and design of the land is unique as well, with a rocky creek running through it, mature trees, perennials, vines and ground cover give natural shade and privacy unlike any other home I have seen, perfect for the green thumb of the family much like the previous owner who was a master gardener. This home has been loved for many years and with 0ver 2600 sq ft, it can easily provide space for entertaining and growing families. You will be surprised how large the walk-in closets are and the size of the rooms, leaving you plenty of room for storage and changing the location of your furniture from time to time. There are bedrooms, baths and living spaces on each floor, so with the kitchen at the lower level where the garage is, it will accommodate the physically handicapped, as well. As for more storage, there is a detached two car garage (attached by a huge covered porch), an attic with pull-down stair, lots of closet space, one enclosed patio above another enclosed, unheated sunroom and then another attached car port. Many families with different lifestyles will be able to appreciate living in this unique home. A must see it to appreciate it home! As for schools and location you will say, "What? 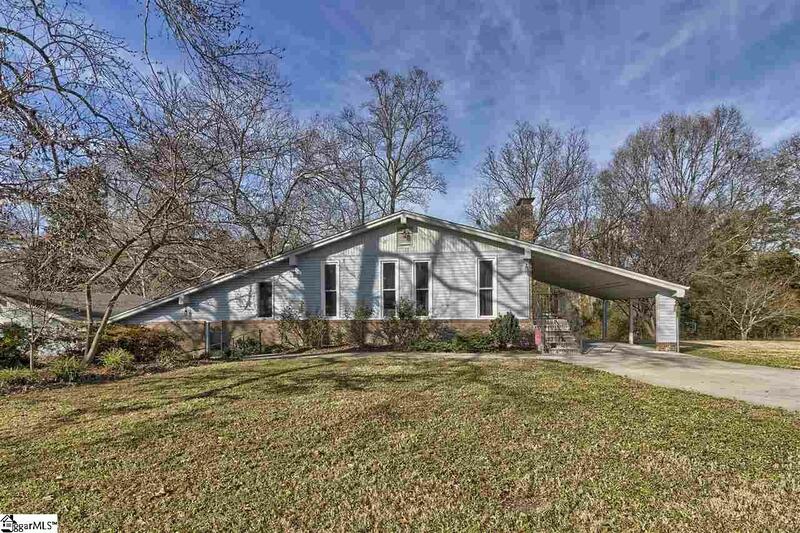 You are in the Mauldin school district, less than 15 minutes to downtown, 10 minutes to Woodruff Rd, 5 minutes to I-385, less than 5 minutes to the High School, drug store and shopping on .95 acres, with over 2600 sq ft for $210K? Make an appointment today!!"